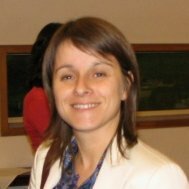 Paula Galvão has been working at INL since June 2011 and is the Chief Officer of the Business & Strategic Relations department. She has a consolidated experience in performing activities related with RTD funding programmes, studies on innovation policies, development of innovation strategies and providing innovation related consulting services for companies and regional institutions. Over the years she has gained a key experience in establishing business relations and developing interactions with European institutions and other public and private client organizations. At INL she is responsible for activities dealing with coordination of International Projects, technology exploitation, business development, establishing collaborations, INL´s incubator and start-up support program, and to provide advice to researchers on innovation funding schemes. She started her career at a technology transfer office of a university and over her career she has held several senior and management positions in consulting companies. Paula Galvão holds a University Degree in Materials Engineering from the University of Minho (Portugal).